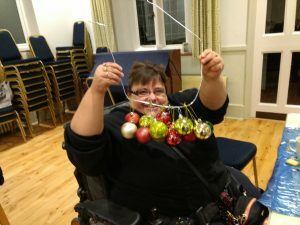 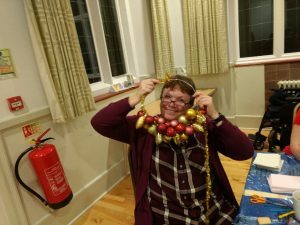 A lot of work (not by me) had gone into preparing Christmas Crafts activities, and the results put in a festive mood. 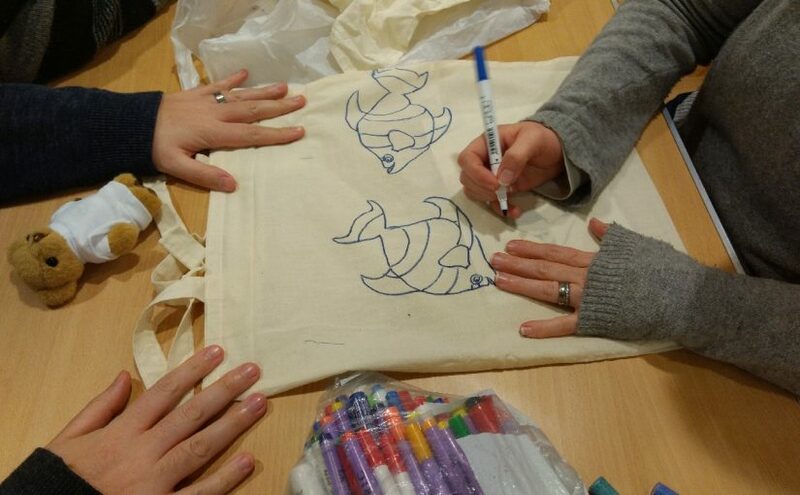 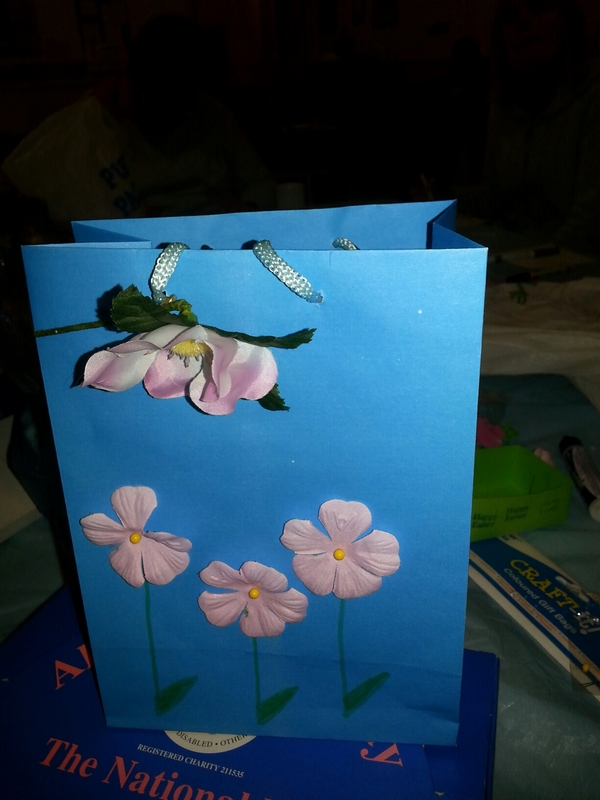 We decorated bags, made mobiles, and decorated transparent sheets. 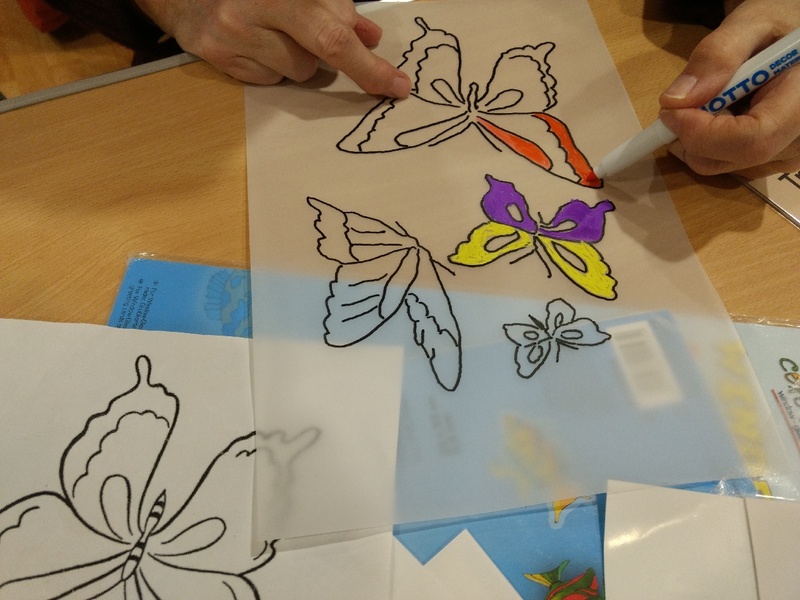 These butterflies will look lovely attached to a window with the sun streaming through them – if we have any sun – which seems a distant memory in this gloomy February. 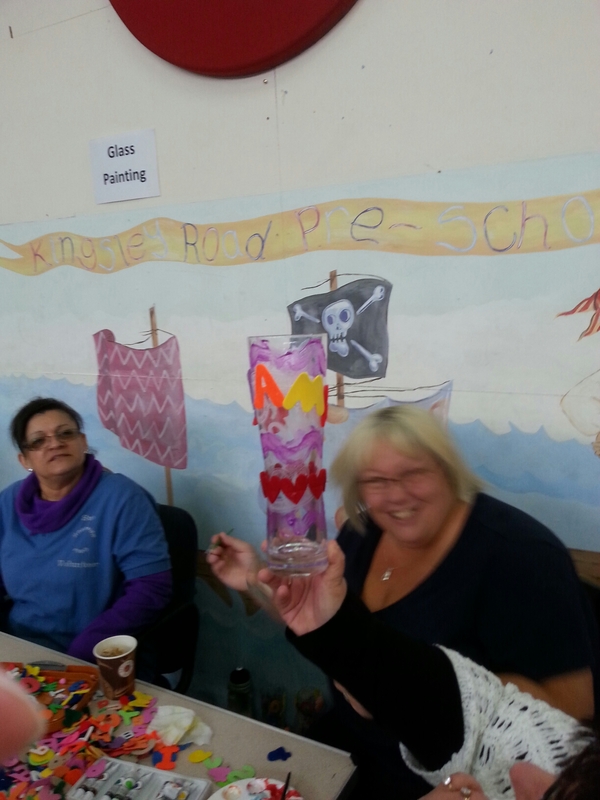 What could be better than a little creative activity to raise our spirits. 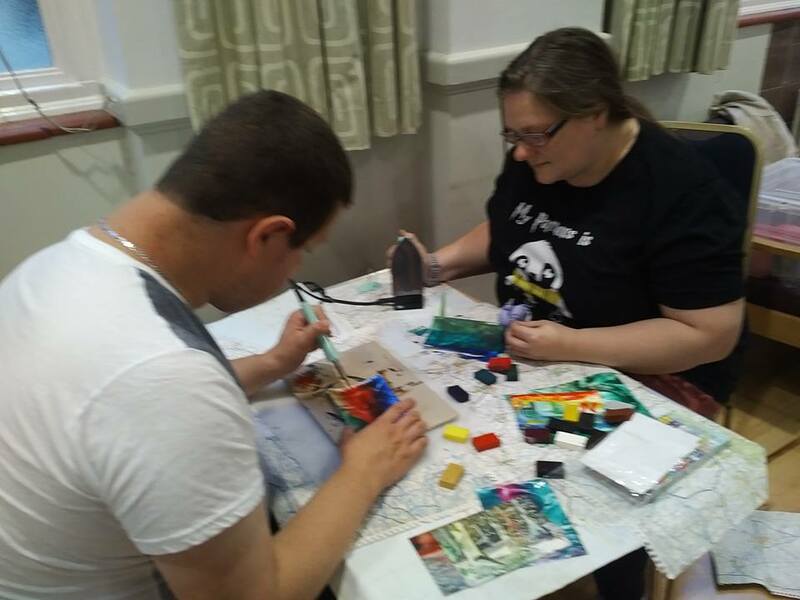 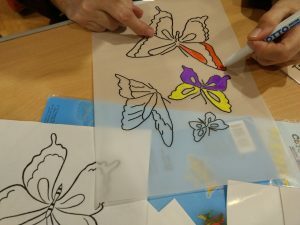 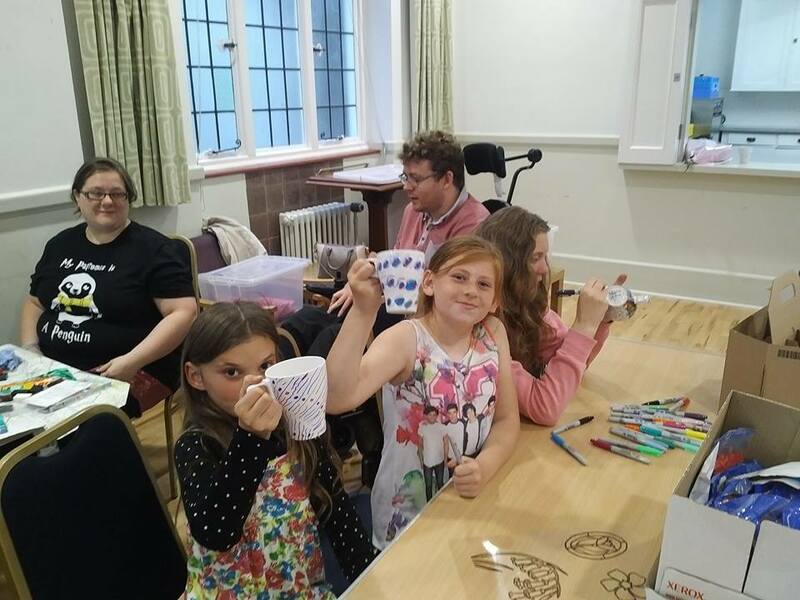 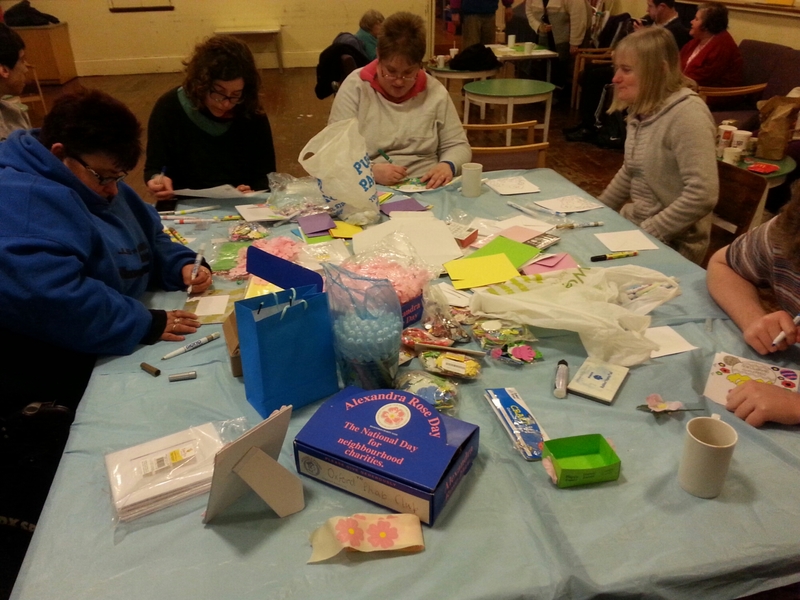 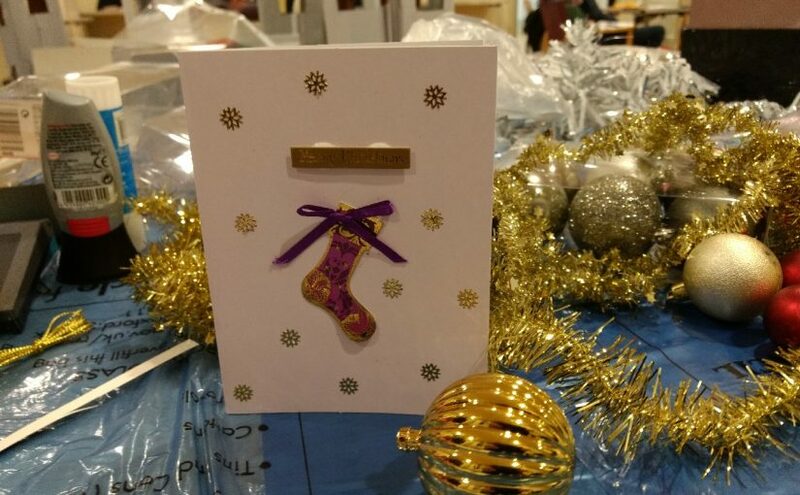 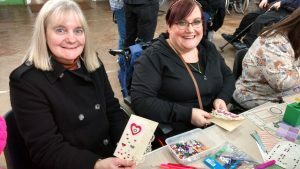 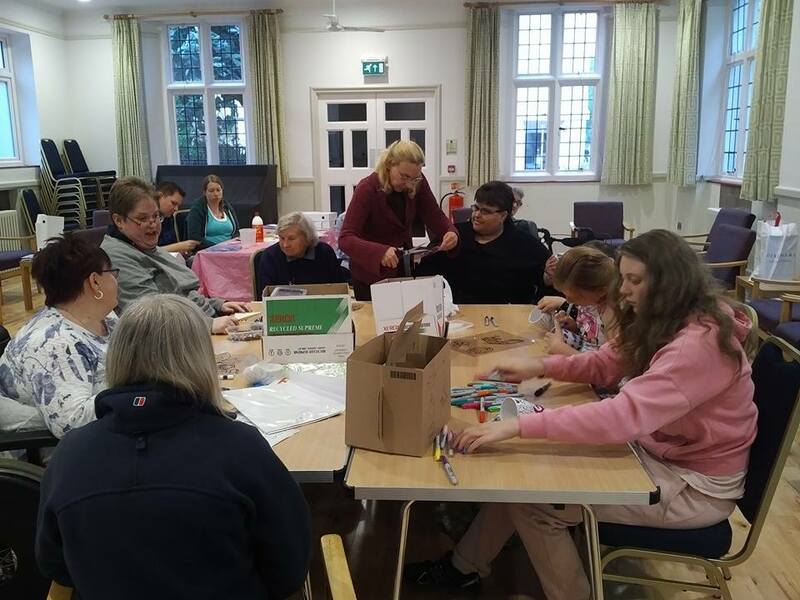 We had a crafts night at Wesley Memorial Church, with a wide variety of activities, and some beautiful results to treasure. 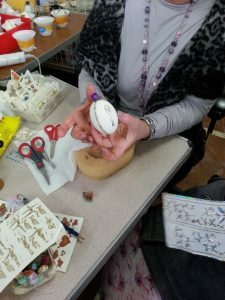 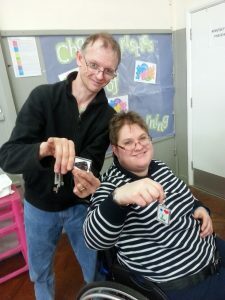 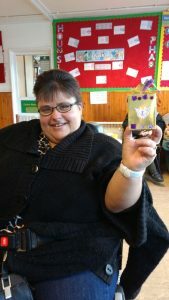 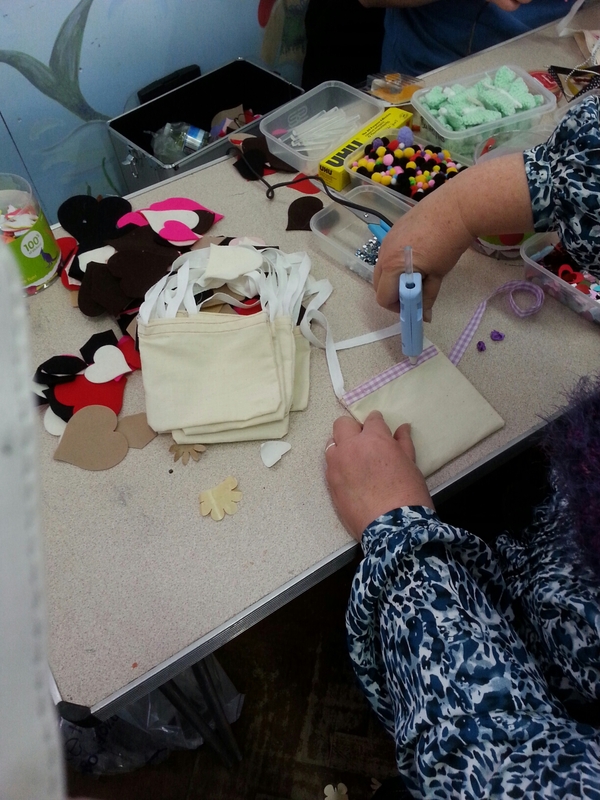 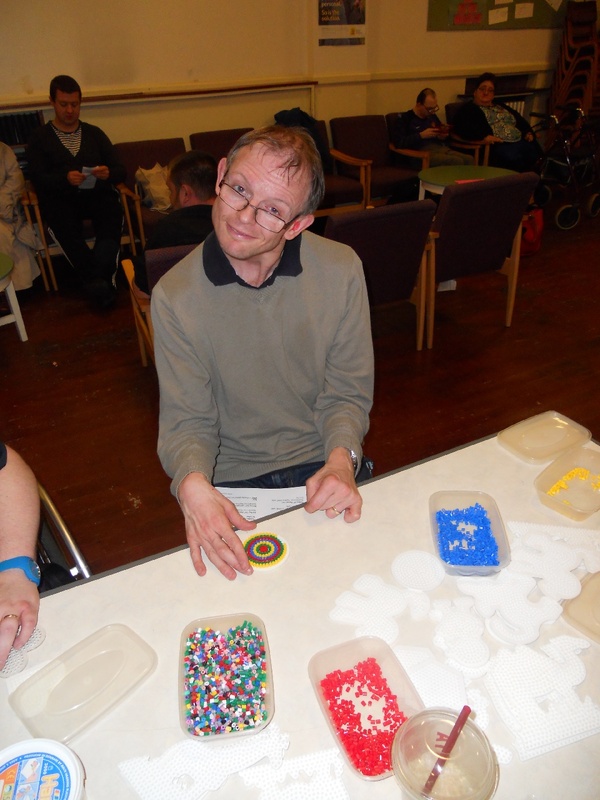 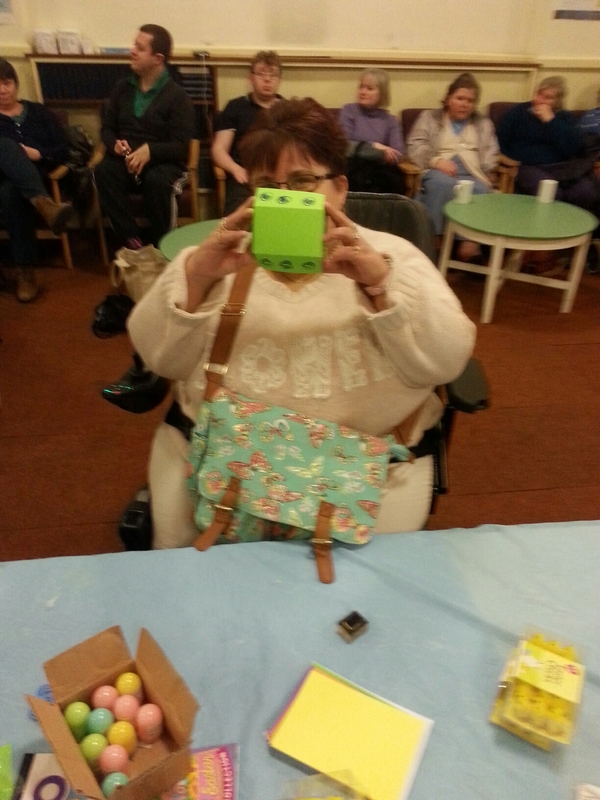 It had been a while since we had the Hama Beads out, so members had an opportunity to make decorative items with them. 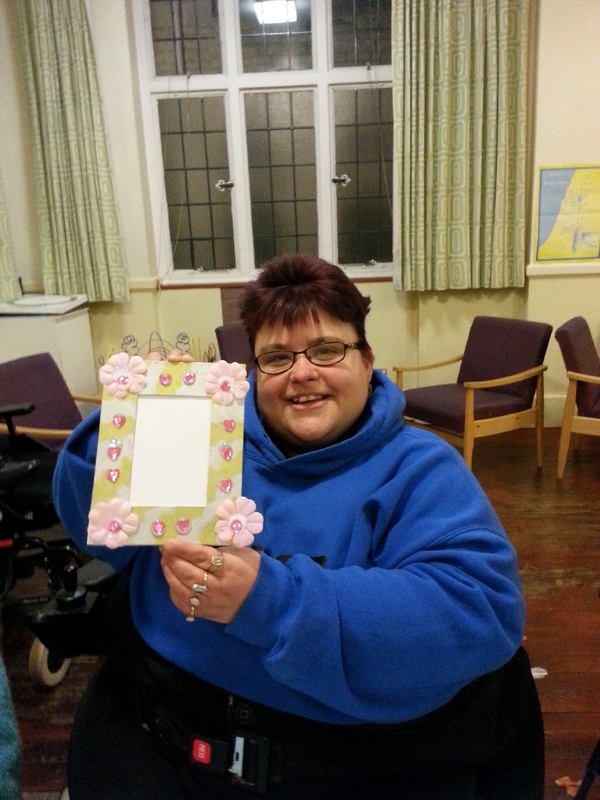 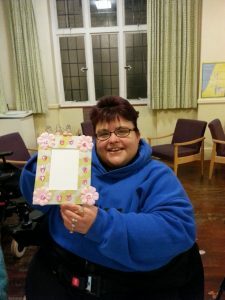 Decorating Picture frames. 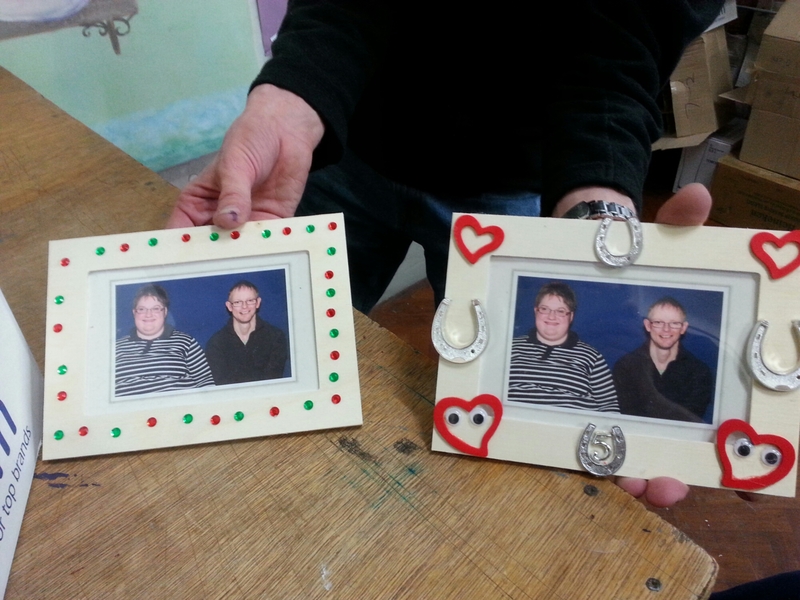 and other items – some with an Easter theme, some as gifts for Mothers Day and some just for fun.
. Lovely pictutre frame ! 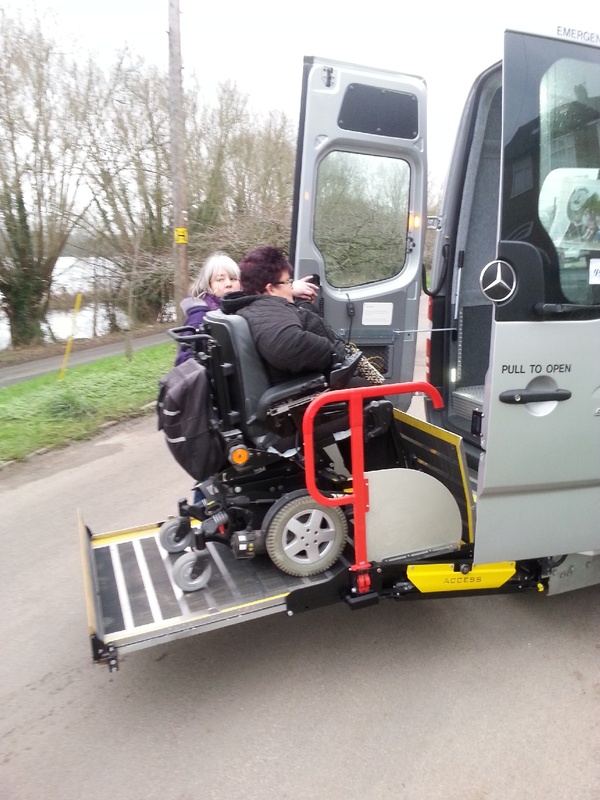 We had an early start, boarding the minibus for the journey to Hounslow. 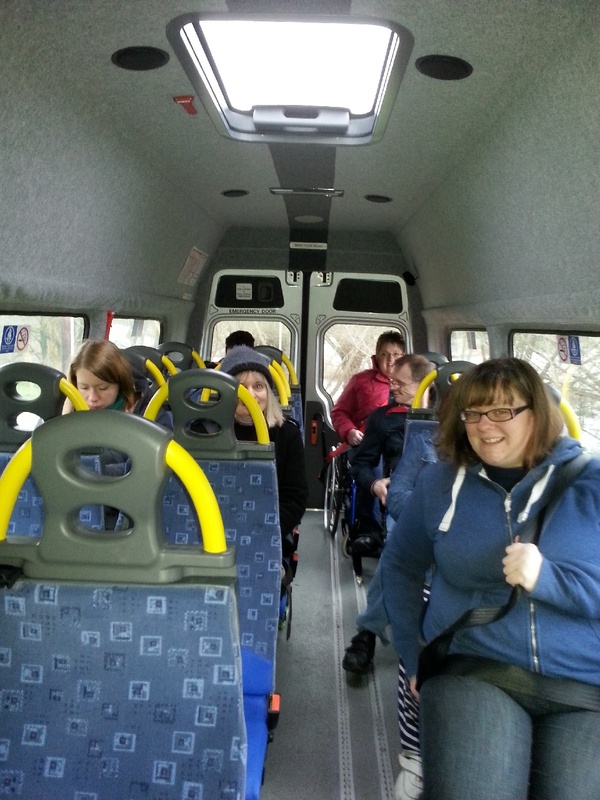 On the bus and ready for a jolly day with our friends from other Phab clubs. On the way we played “I spy”. 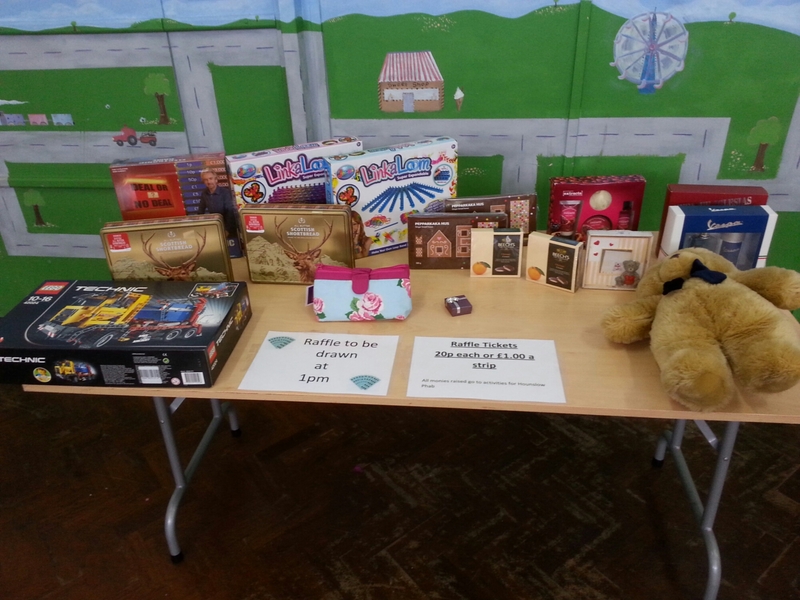 and of course there was a raffle. After breakfast and an optional, but well attended and inspiring Morning Worship session, we went into a Team Building activity. 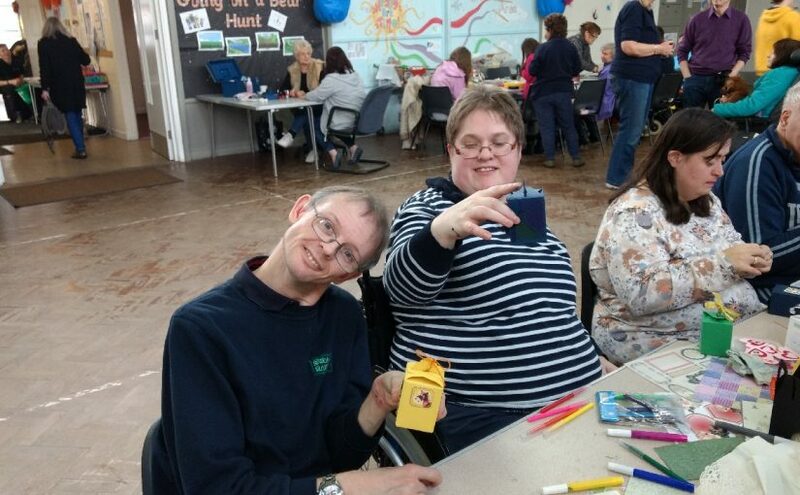 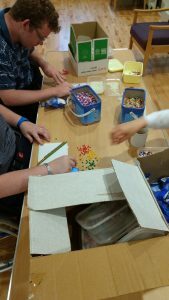 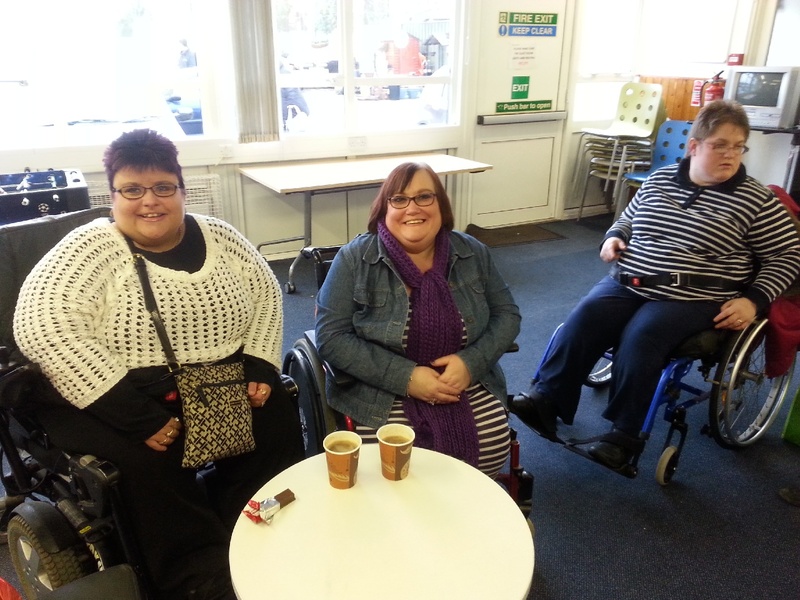 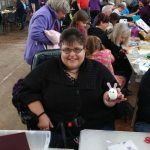 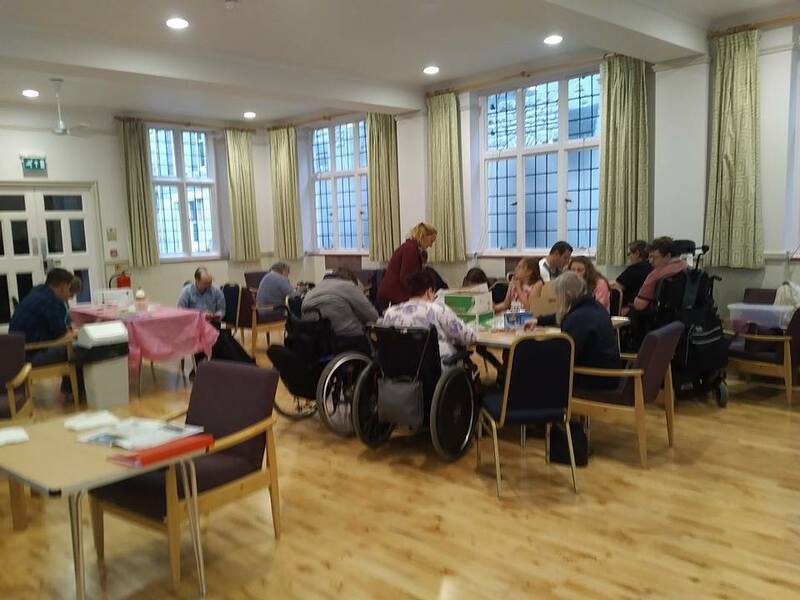 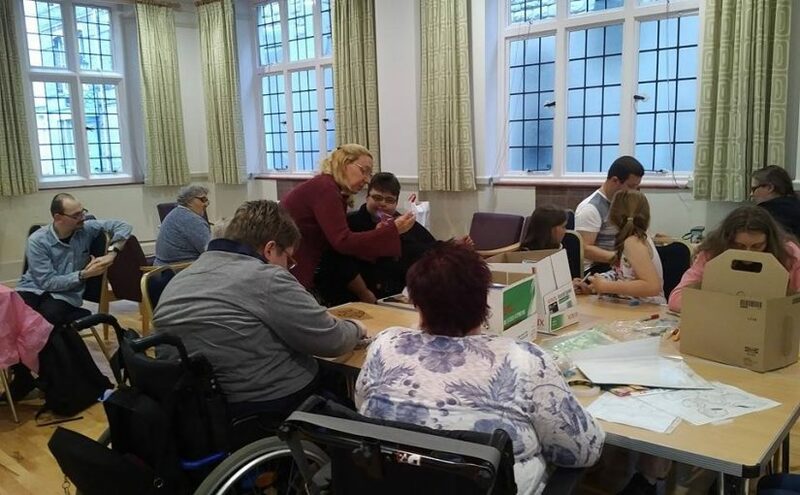 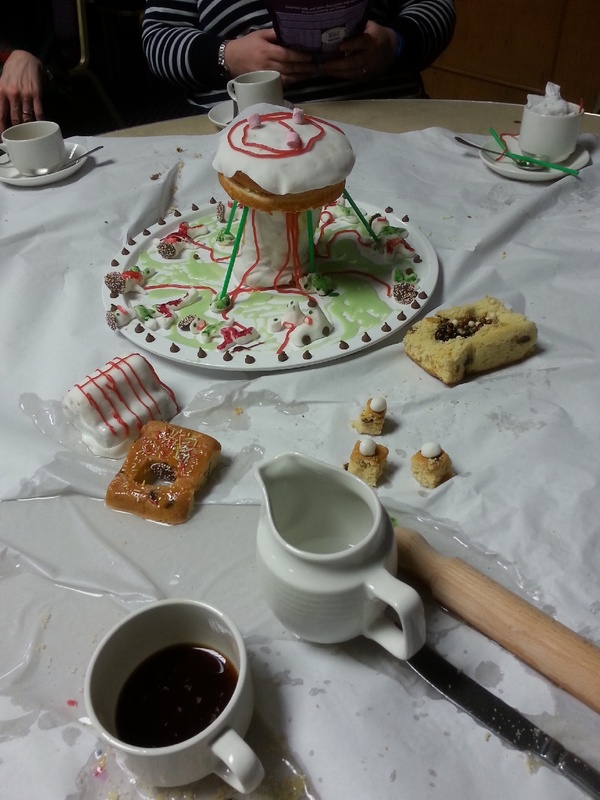 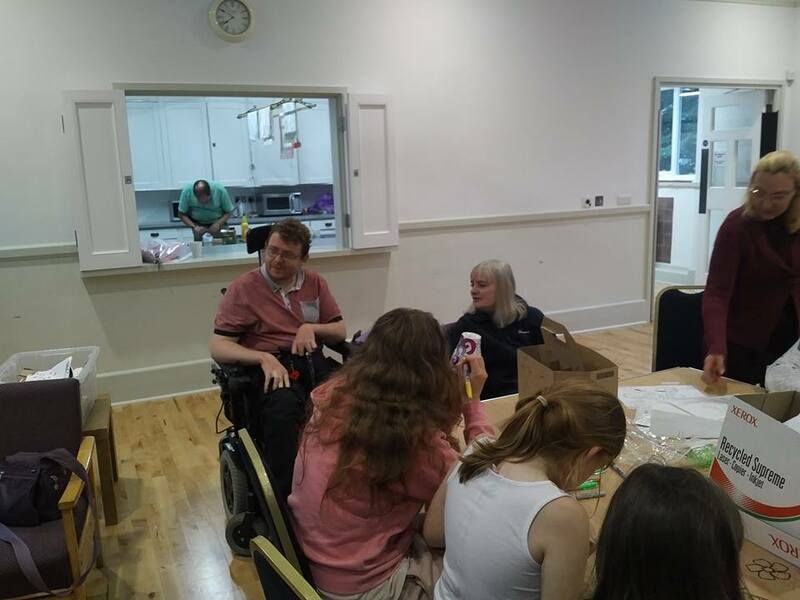 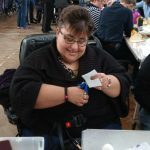 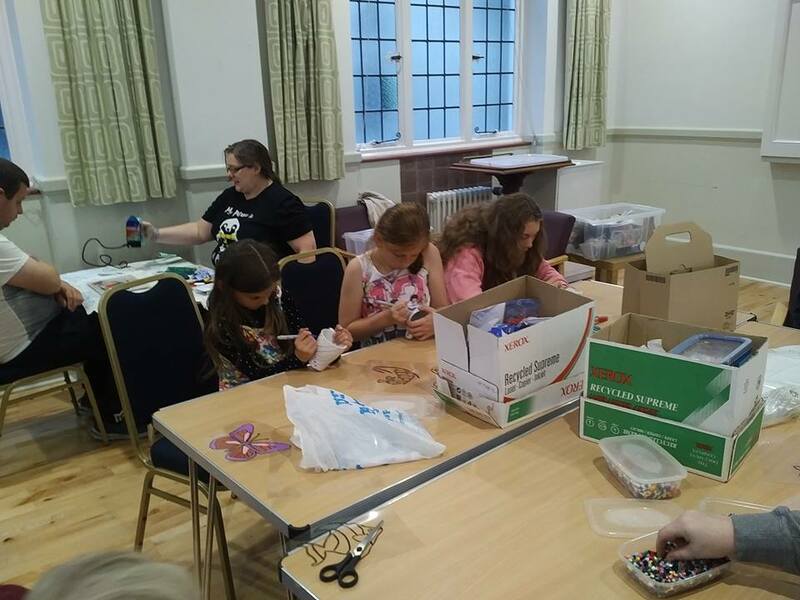 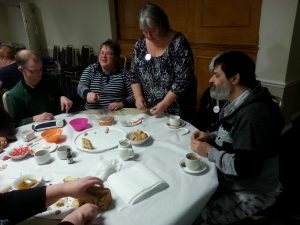 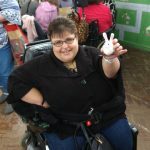 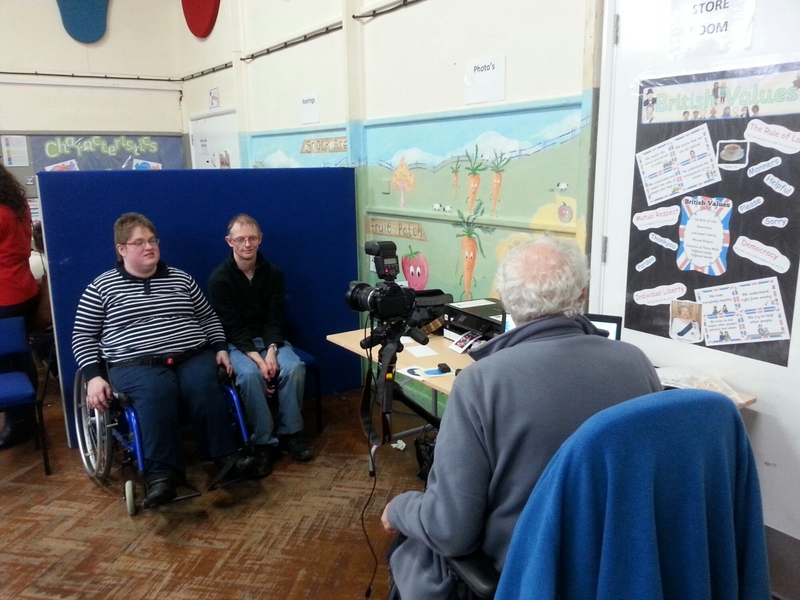 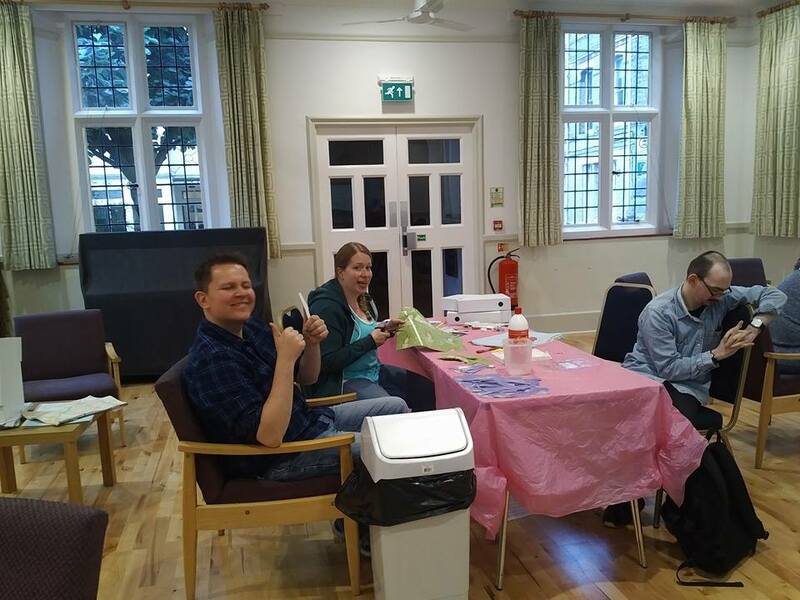 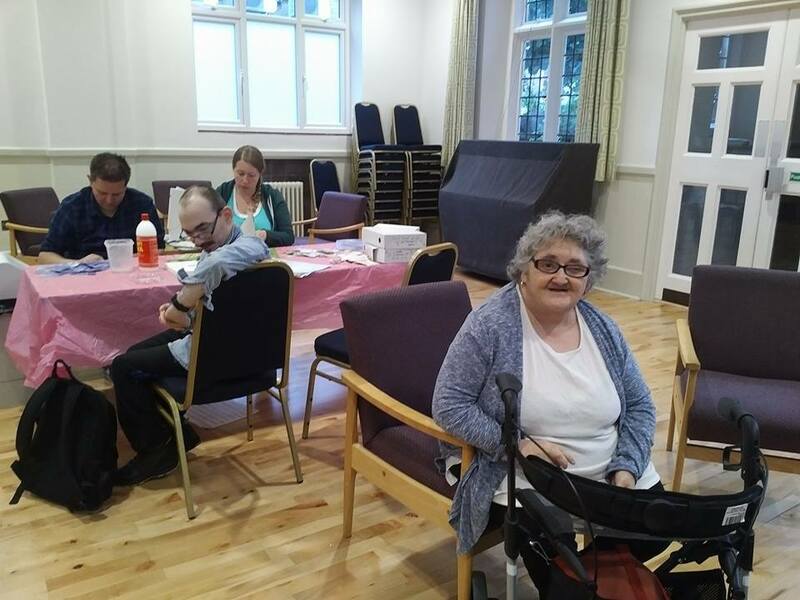 We worked in teams, Oxford Phab had the assistance of the Wheelchair Dance Sport Association, and given supplies of cake, swiss roll, chocolate buttons, fondant icing, icing sugar and similar ingredients and told to construct something related to a season. So what can you make from cake ? 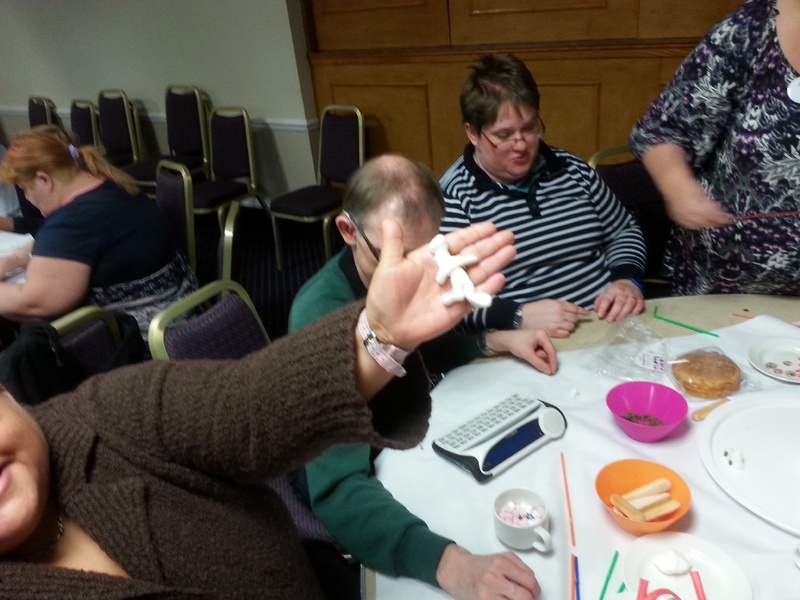 This is not a snowman – once coloured in this will be a maypole dancer ! 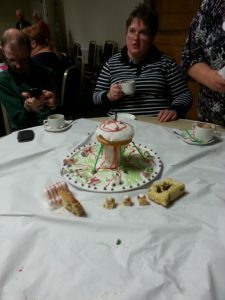 Here is the final result – there is a maypole, complete with dancers – one in a wheelchair, a cake stall and a coconut shy – for added realism the coconuts are glued to the stands ! 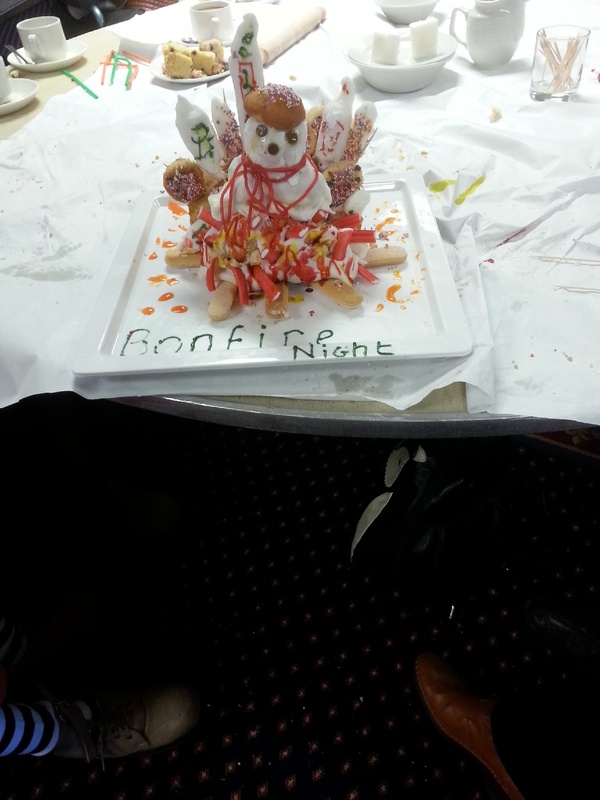 Other groups made a bonfire, a snowman, a ski scene and other seasonal themes, but after much deliberation ours was declared the best !!! For added realism our spring fÃªte ended in a washout ! 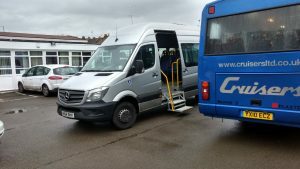 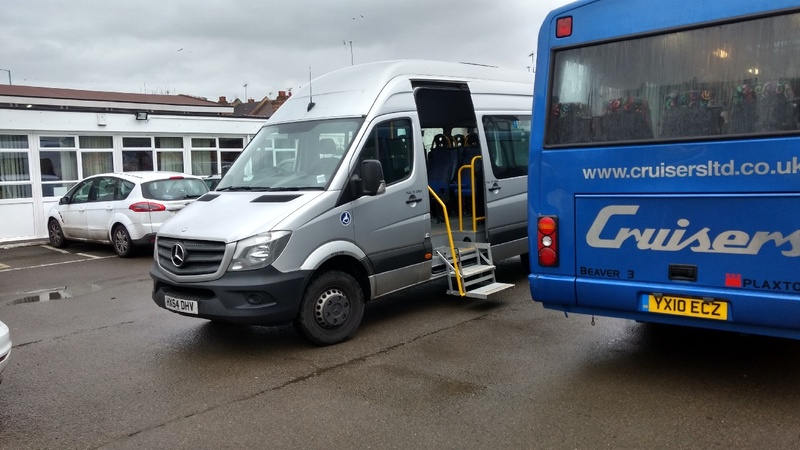 We finished the event with presentations and lunch, and then went home on the minibus. 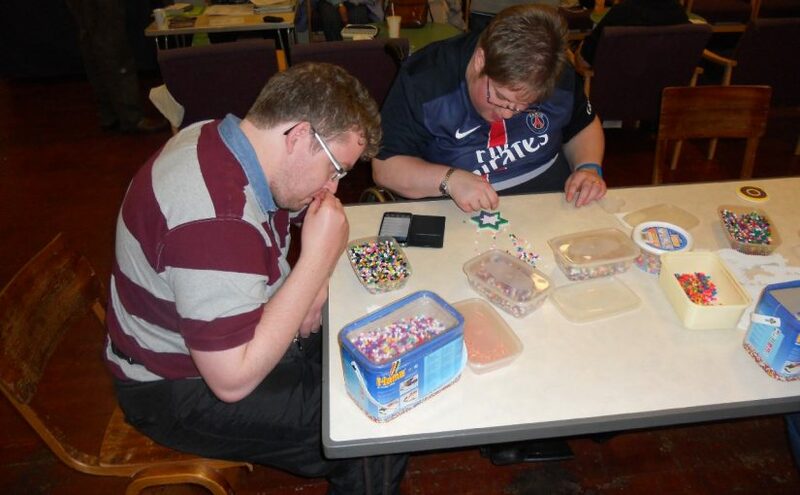 Our regular normal club night, but as well as sitting around chatting, and drinking tea or coffee, we had Hama beads.